Chef Mark McEwan has officially opened his third McEwan grocery store at 1 Bloor Street East in downtown Toronto. 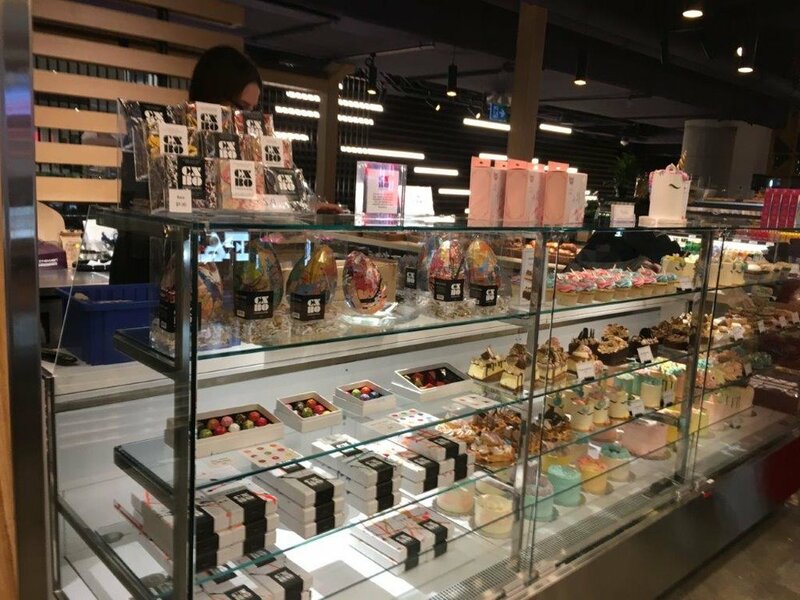 The impressive space is a hybrid grocery store and restaurant that some refer to as a ‘grocerant’, marking a trend we’re seeing as people seek out casual dining experiences within grocery stores. The store is located within the commercial podium of the new One Bloor East mixed-use tower, spanning two levels. A street level reception area spanning almost 900 square feet features an entrance on Yonge Street, and is occupied primarily by escalators and an elevator leading downstairs. The lower level retail space is where most of the action is at, encompassing more than 17,000 square feet. Brands from the McEwan Group feature prominently in the new space, which includes a mix of grocery, grab-and-go and sit-down dining options. McEwan’s Café with Fabbrica pizza to the right. Seating area at the centre of the store, with gourmet desserts to the right. After entering the Yonge Street entrance and heading down the escalators, one finds the McEwan’s Café area which features coffee options from Lavazza as well as organic cold pressed juice by Refuel, blended protein smoothies, and house-made pastries. The Café also includes an all-day breakfast menu. Next to that is a counter for Fabbrica Pizza, serving its signature Pizza Romana that is served al taglio. Baked daily, the 72-hour protein rich dough is topped with a variety of ingredients such as garden-grown vegetables, robust cheeses, ripe fruits as well as sausage or salumi. At $6 for most slices, it’s a bargain compared to many dining options in the area (and a step above a typical Pizza Pizza). 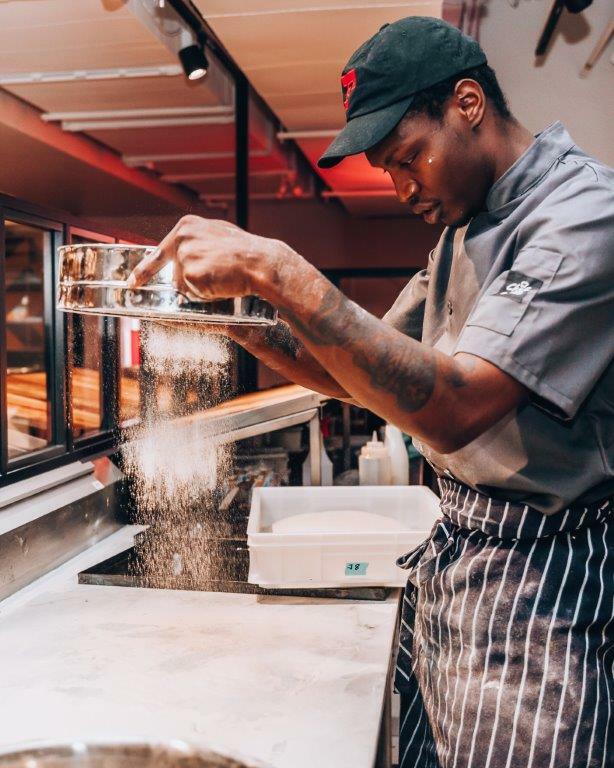 Fabrica Pizza, owned by chef Mark McEwan, has three standalone locations in Toronto (TD Centre and CF Shops at Don Mills) as well as in the picturesque community of Thornbury on Lake Huron. A sushi bar in the store features a variety of maki, nigiri, sashimi, and poké that can be paired simply with rice and crisp vegetables, or with a range of innovative toppings, according to McEwan. 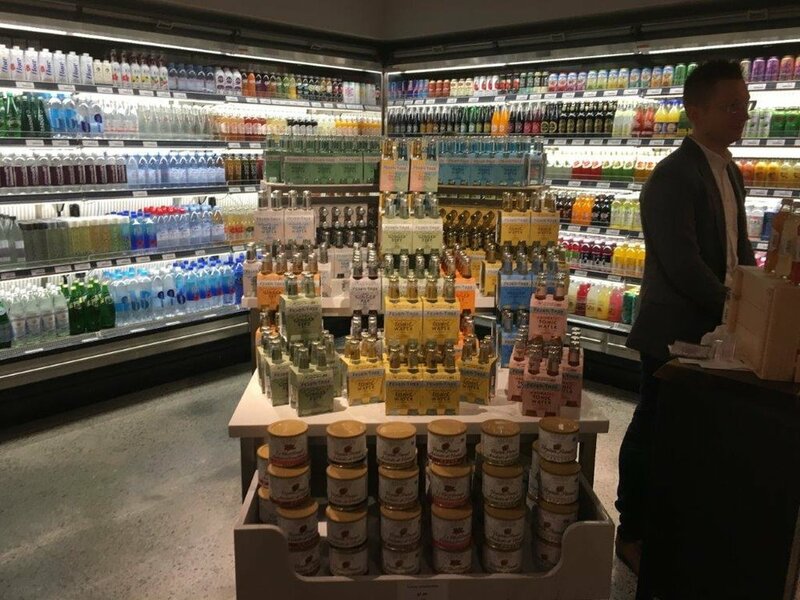 In the centre of the store is an area where shoppers can create their own meals — something also seen at nearby competitors Whole Foods, Longo’s and Bloor Street Market (McEwan might be the best of them all). A ‘hot & cold table’ includes a range of heated curries, vegetarian and vegan dishes as well as the cold table featuring varied antipasti. There’s an adjacent salad bar with seasonal greens, dressings and other delicious options (we’ve eaten here twice already), as well as a made-to-order sandwich station featuring Fabbrica favourites such as veal parmesan and eggplant grilled cheese. An interactive carving station and rotisserie area offers a rotating menu of ribs, porchetta, prime rib and brisket, as well as whole seasoned chickens that are roasted throughout the day. There’s also a dry ageing room, featuring carefully controlled dry ageing fridges (dry ageing beef intensifies the flavour and improves texture, according to McEwan). The store also offers a wide range of grocery items which are displayed attractively throughout the new retail space. That ranges from staples such as bread and milk to specialty ingredients and pantry staples, not to mention cheese, deli items, seafood, market-fresh produce and various other provisions — we noticed bottles of pricey olive oil which may attract affluent residents in the area. Mark McEwan at the opening of the new store. “We bring our restaurant and catering knowledge into our stores,” said Chef Mark McEwan. “Our chefs make everything in-house from scratch, so why should a grocery store be any different? This will be a store with stories. Our Executive Chef Shen Ousmand will bring his global experience to our daily hot table and Chef de Cuisine Kris Topping brings his 20 years cooking experience to our prepared foods and so on,” he said. The new McEwan grocery store operates between 7:30am and 8:30pm seven days/week. 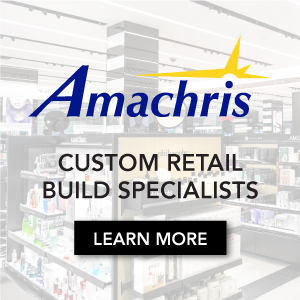 McEwan is addressing a trend where some grocery stores are blurring the lines between grocery and restaurant — some refer to these as ‘grocerants’. Many grocery stores in downtown Toronto feature sit-down areas where customers can eat, and the idea is popular among a wide demographic seeking a casual dining experience. The lack of restaurant-like servers means there’s no tipping, and there’s something unique about dining in such a food environment. 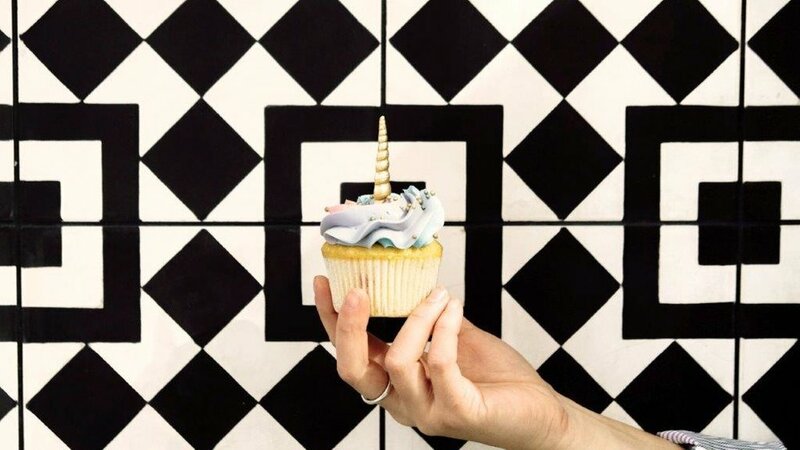 Pusateri’s Fine Foods, which opened a food hall at Saks Fifth Avenue at CF Toronto Eaton Centre in downtown Toronto in late 2016, is somewhat similar in that respect. Whole Foods at Yorkville Village includes ample seating for its self-serve food areas, and even the relatively small Longo’s store at the Hudson’s Bay Centre includes an area to sit and eat (though it’s small and some find it to be crowded). These competitors will need to find a way to compete with the new McEwan which targets shoppers with ample sit-down options. 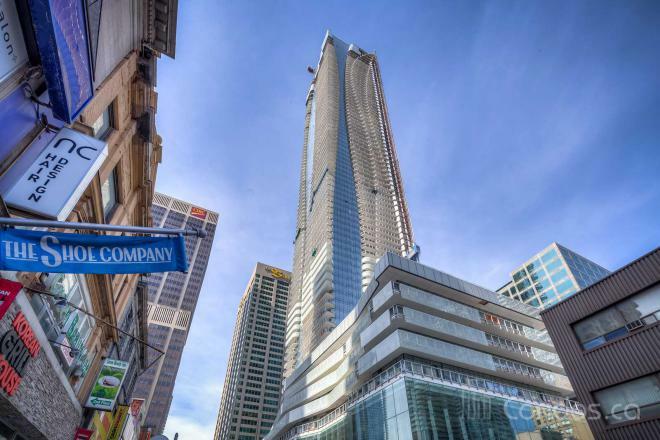 The new McEwan is located at the base of the 1 Bloor Street East mixed-use tower, which features an 85,000 square foot commercial base and a 76-storey condominium tower with almost 800 residential units. Last spring, Nordstrom Rack opened a two-level store occupying the Yonge/Bloor corner of the building, and Starbucks recently opened in the property as well. A soon-to-be-announced restaurant concept will occupy about 5,000 square feet at the corner of Yonge Street and Hayden Street, and several other spaces at 1 Bloor East are currently available for lease. The building is located above Canada’s busiest subway stations and the Yonge and Bloor intersection is one of the busiest in Canada in terms of pedestrian footfall. Mark McEwan in the new store. McEwan’s lease deal was finalized in mid 2017, and we reported on it soon after. David Wedemire and Stan Vyriotes of DWSV Remax Ultimate Realty Inc. acted on behalf of McEwan Group in the lease deal with landlord First Capital Realty. The Bloor Street McEwan is the third for the McEwan Group. 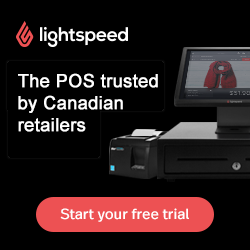 In the summer of 2009, McEwan opened a 21,740 square foot grocery store at CF Shops at Don Mills in Toronto, followed by a 5,500 square foot grab-and-go focused location at Toronto’s TD Centre in Financial District.